Dr. Alpendre is a fellowship trained general surgeon who is specialized in minimally invasive general surgery. Dr. Alpendre received his medical school education from the Federal University of Parana (UFPR) in Curitiba-Brazil, the oldest University in the country. He received general surgery training at one of the most prestigious universities in Brazil – State University of Campinas, Sao Paulo (UNICAMP). Upon moving to the USA, he completed his general surgery residency at Wayne State University (WSU) in Detroit, Michigan. While there, both Gold Humanism Honor Society and the Department of Surgery of WSU recognized him for his exceptional teaching abilities. He was also chosen to be the Chief Administrative Resident of his general surgery graduating class. 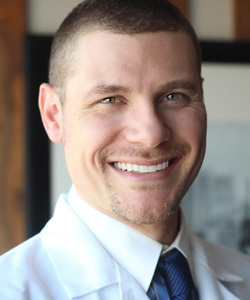 After his residency, Dr. Alpendre pursued additional training and completed a minimally invasive surgery fellowship at Wayne State University in Detroit, MI. Dr. Alpendre’s particular areas of expertise includes array of advanced robotics and laparoscopic cases – laparoscopic foregut (Nissen, Heller and paraesophageal hernia repairs), laparoscopic colectomies and hernias, laparoscopic adrenalectomies and splenectomies, distal pancreatectomy and laparoscopic stomach surgery including gastrectomies and laparoscopic feeding tubes.